Dubai’s Laguna Waterpark in La Mer will close for three weeks in February for annual maintenance, it was revealed on Wednesday. The waterpark, which opened in May last year, will be closed from February 3 – 22 to “enhance the sliding, relaxing, splashing and surfing experience”, a statement said. Offering five main rides, the park has four distinctive zones – surf, relax, slide and splash. 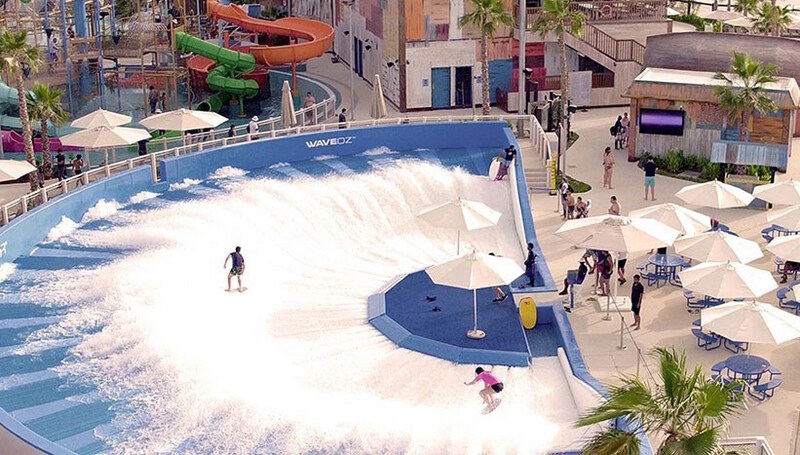 Attractions include the only WaveOz 180 FloRider in the GCC – the surf machine is just one of three in the entire world; a slide tower including the region’s first Manta family raft ride; and Aqualoop. It also features a children’s zone with a splash pad and a rainfortress as well as a lazy river and a store. There are four F&B outlets within the waterpark including the main restaurant, Ice cream shack, Oriental food shack and the pool lounge. A day pass costs Dhs99 when bought online in advance and Dhs125 at the door. Other options are available for those looking to book cabanas.